When you eat away from home or “on the run,” there are three ingredients you will find most difficult to control: oil, sugar and sodium. They are not only the three things that are the most terrible for us; they are also the most physically addictive. All oil is a highly processed food that has zero nutritional value. Oil: Oil is used because it is a cheap ingredient that is used to make food seem more satisfying. It doesn’t usually add flavor to your food, it just adds that comforting sensation of fullness. 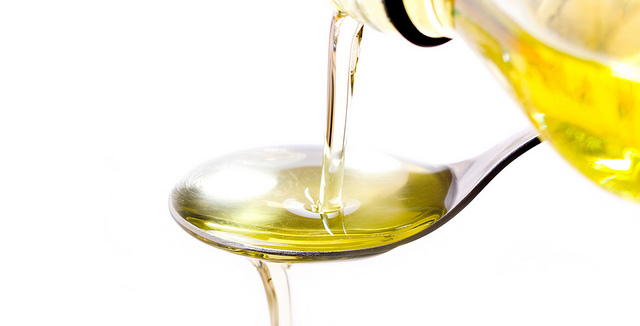 All oil, no matter what kind, contains 120 calories per tablespoon. The average American consumes 400 calories of oil a day. It is absorbed quickly and is converted almost instantly into body fat. All oil has zero nutritional value. Yes, even olive oil, coconut oil, safflower oil, or soybean oil. Consuming oil can and will sabotage your weight loss or maintenance goals. Simply put, using oil is just a lot of empty calories. When I’m at home, I simply don’t use oil. I leave it out or I find a substitution. Depending on the recipe I use applesauce, flaxseed mixed with water or simply plain water. I don’t eat oil because I see no reason to consume something that has zero nutritional value. 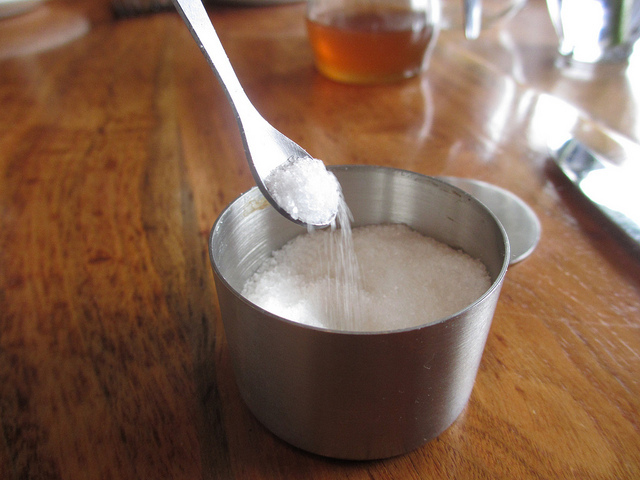 This is 42 grams of sugar which is what you will find in a 12 oz soda. That’s about 1/4 cup which is the same volume of sugar found in 2 lbs of carrots. Sugar: We all have a natural desire for sweets, and the best way to satisfy this is with fresh fruits like blueberries, strawberries, bananas, apples, kiwis, and oranges that are packed with nutrients and fiber. Unfortunately, if we eat on the run or on the road and in restaurants we might consume more products that contain refined sugars like snack bars, candy bars, soda, and ice cream, white bread, and pasta dishes with savory sauces – instead of fresh fruit or food choices that are not packed with hidden sugars. According to the American Heart Association the typical American consumes about 22 teaspoons of refined sugars a day which includes; table sugar (sucrose), milk sugar (lactose), honey, brown sugar, high-fructose corn syrup, molasses, corn sweeteners, maple syrup and fruit juice concentrates. Foods that are high in sugar such as soda, breakfast cereals, frappes, and fancy coffees, candy, cakes, pie, cookies, fruit drinks, various dairy desserts and milk products like ice cream, sweetened yogurt, and sweetened milk and coffee creamers are all empty calories. These types of food lack any nutrients, and these types of foods won’t satisfy your appetite. They causes us to be hungry and overeat. Refined sugars, raise our blood sugar and insulin levels causing obesity, diabetes, cancer and cardiovascular disease. When I’m at home, I generally use fruit to sweeten my dishes. My favorites are dates, applesauce and very ripe bananas. In my oatmeal and smoothies, I love adding strawberries or my absolute favorite – blueberries. I always keep frozen blueberries or strawberries in the freezer. When I took sugar out of my diet several years ago, I noticed a new-found energy level, and I no longer have any joint pain like I did in the past. 75 percent of the sodium in the average American diet comes from salt added to processed foods. Even one slice of most types of bread contains 100 to 172 milligrams of sodium. 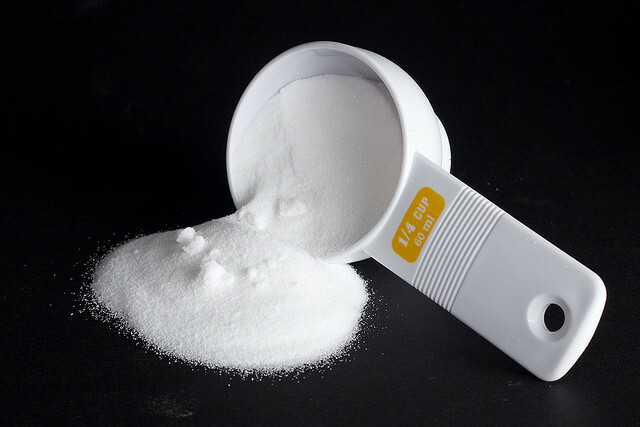 Sodium: To properly function the human body needs the essential mineral sodium. It’s also a basic human taste. For millions of years we consumed the proper amount (1000 mg per day) by eating natural foods. Today, unfortunately, the typical American diet contains dangerously high amounts – about 3500 mg per day! And it doesn’t come from the salt shaker on your table! Again, it’s coming from processed foods that are created to make your life easier. Those cans of soups and boxes of rice dishes and pasta dishes you can quickly prepare for dinner. It’s found in the foods you eat in restaurants. It’s added to these foods to make their flavors more appealing. Excess salt increases your blood pressure. And there is a strong relationship between high blood pressure and stroke mortality. When I’m at home, I don’t actually use much salt in my cooking; and I don’t have a salt shaker at the table. For instance, when I stir-fry or saute my veggies, I might add a teaspoon or two of reduced sodium Tamari sauce. To make my soups and dishes more flavorful I’ve moved away from the salt and started exploring the plethora of herbs and spices available. In fact, every pantry should contain a collection of spices such as dried allspice, dried basil, cinnamon, cloves, granulated garlic, dried ginger, turmeric, dried mustard powder, tarragon, thyme, oregano, nutmeg, cardamom, bay leaves, marjoram, crushed red pepper, cayenne pepper, black pepper, chipotle chili powder, coriander, onion powder, paprika, rosemary, sage, dried basil, dried parsley and curry powder. We all run up against times when we can’t eat in the comfort of our own home. We’re taking care of a family emergency that finds us going back and forth to the hospital for several days, we’re traveling on vacation, we have business luncheons to attend, we have to get the kids to their soccer game, piano lessons, or play rehearsal …. If you find yourself eating out more, keep note. Look for or ask for more fresh items to avoid the hidden ingredients. Stay away from creamy sauces, salad dressings, sour cream, and added butter. Ask what kind of oil they are using. Ask if they will steam your veggies and ask them to not add butter. Recently when eating out, I asked if they could adjust a recipe by not using oil when sauteing my vegetables, and the restaurant was very happy to accommodate. The key is to take note and take control; and be aware as best you can.